St. Frances’ Adrian Baldwin (center) tries a layup attempt as Mount St. Joseph’s James Bishop (10) defends during Friday’s MIAA A Conference/Baltimore Catholic League boys basketball match. The No. 8 Gaels put together another solid effort against the third-ranked Panthers, taking a 66-63 decision in front of a standing-room only crowd at Smith Center in Baltimore City. One thing is certain about a Pat Clatchey-coached basketball team, they are going to get better as the season progresses and they are always going to compete. No. 8 Mount St. Joseph showed both improvement and competitive drive, topping third-ranked St. Frances Academy, 66-63, Friday at a sold out Smith Center in Irvington. The win give the Gaels a regular season sweep of the Panthers and allowed MSJ to clinch first in the MIAA A Conference’s Red Division. The Southwest Baltimore school, winners of five straight, gained a top-seed for the playoffs, which get underway Tuesday. The Gaels (24-6 overall) and St. Frances (30-5 overall) each completed their regular season with 16-2 league records. But Mount St. Joseph has the top-seed in the MIAA A Red, thanks to Friday’s victory and a 74-63 decision at Phelps Gym in East Baltimore in late December. The Gaels never trailed Friday, building a couple of double-digit leads before withstanding several charges by St. Frances. St. Joe’s biggest lead was 28-15, with just under two minutes to go in the first half, but the Panthers erupted for seven quick points to cut the Gaels’ advantage to six at the break. The lead dwindled to four as St. Frances opened the third quarter with a basket, but the St. Joe kept the Panthers at bay with a trio of three pointers and nursed a 44-38 advantage after three quarters. St. Frances, despite suffering through a poor shooting night against the Gaels’ aggressive defensive effort, were only four points down, 55-51, with 2 minutes, 25 seconds remaining in regulation. But the Irvington squad was able to convert 7-of-10 free throws down the stretch to seal the win. Mount St. Joseph also got a clutch rebound from freshman guard Antonio Hamlin, with 10 seconds remaining, snuffing out any hope for St. Frances. Sophomore guard Ausar Crawley had a sensational night for St. Joe, scoring 16 points and playing excellent defense against St. Frances star guard Adrian Baldwin, who had to earn each of his team-high 15 points. Tyler Brelsford added 14 points, going 9-for-10 from the stripe, helping the Gaels convert 21-of-27 free throw attempts overall. Clatchey said defense was the key Friday. St. Joe’s senior star James Bishop, who scored 13 points, said it was a great team effort. In addition to Baldwin’s 15 points, Rajier Jones and Jordan Toles each had 13 points each for St. Frances, and Jason Murphy added 10. 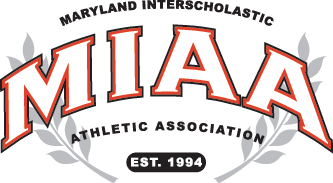 The Gaels will host John Carroll School in an A quarterfinal Tuesday while St. Frances will welcome Annapolis Area Christian School. Despite the loss, St. Frances already secured the Baltimore Catholic League regular season title. St. Joe finished 11-3 in the BCL, good for third place. Sophomore point Ausar Crawley paced St. Joe with 16 points in addition to providing floor leadership and outstanding defense in the Gaels win over St. Frances. The Panthers tied for the top spot with St. Maria Goretti (both 12-2), but won both head-to-head meetings with the Hagerstown school, thus claiming the regular season title. West 5, Toles 13. Totals 18 21-31 63. MOUNT ST. JOSEPH: Crawley 16, Brelsford 14, Bishop 13, Johnson 3, Hamlin 5. Chairs 7, Sykes 2, Brown 6. Totals 19 21-27 66. No. 10 Loyola (19-10, 12-6 MIAA A) capped its best regular season in years with a win at arch-rival Calvert Hall. Loyola needed a 3-pointer at the third quarter buzzer to move in front of the Cardinals (6-21, 2-14 MIAA A) by one and then rolled through the fourth quarter. Mitch Fischer led the way with 19 points, while Brendan Foy scored 18, Jordan Moore had 13 and Cam Smith and Tryllian Young each had 12. Loyola finished third in the Red Division and will travel to McDonogh School, the No. 2 seed in the Black Division in Tuesday’s quarterfinals. McDonogh started fast in Odenton, outscoring Annapolis Area Christian, 19-6, in the first quarter and building a 32-15 lead at the half. McDonogh also closed strong with a 25-15 edge in the fourth quarter. Dave Brown led McDonogh (17-8, 11-6 MIAA A) with 21 points. Drew Green added 17 and Everett Cooper scored 13. Dylin Borden scored 15 points to lead AACS (14-9, 9-8). McDonogh will host Loyola in the quarterfinals Tuesday. The Eagles edged the Dons, 52-50, during the regular season. In its regular season home finale, Glenelg Country wrapped up its regular season with a 63-54 win over Gilman. The Dragons (18-9, 10-8 MIAA A ) got balanced scoring once again with Chase Paar scoring 14 points and Jorden Brathwaite and Jarod Robinson scoring 12 each. Jalen Rucker scored 21 to lead Gilman (8-19, 5-13). Glenelg Country will play at No. 4 Boys’ Latin Tuesday. No. 4 Boys’ Latin picked up its 29th win of the season, going on the road and routing John Carroll, the team that defeated the Lakers in last year’s MIAA A Conference championship game. BL (29-5, 15-2 MIAA) will begin its quest to return to the final when it hosts No. 12 Glenelg Country in a quarterfinal playoff game on Tuesday. John Carroll (5-23, 3-14 MIAA) despite a difficult season won a three-team tie-break for the last playoff spot in the Black Division and will travel to Irvington to challenge Mount St. Joe in the quarterfinals.